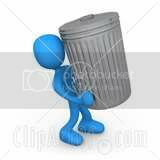 Need Fast, Affordable Trash Pick Up and Hauling Services? Storybook Properties Gets It Done! Contact Us For A "Free" Quote Today. Turn Your Property Into a Clean "Storybook Property" today! Call Marino Ivanov at (661) 916-4317 or fill out the form below for a quick quote!